When she was pregnant with her first, she didn’t know about doula and midwife options and started learning about her options. She was surprised with what great resources were available but also how few moms knew about them. Her experience ignited a passion to serve women by supporting them through pregnancy and labor. Two years after my son was born, I have learned so much about the services and resources available to expecting and new moms and have felt a drive to make sure everyone can find these resources. 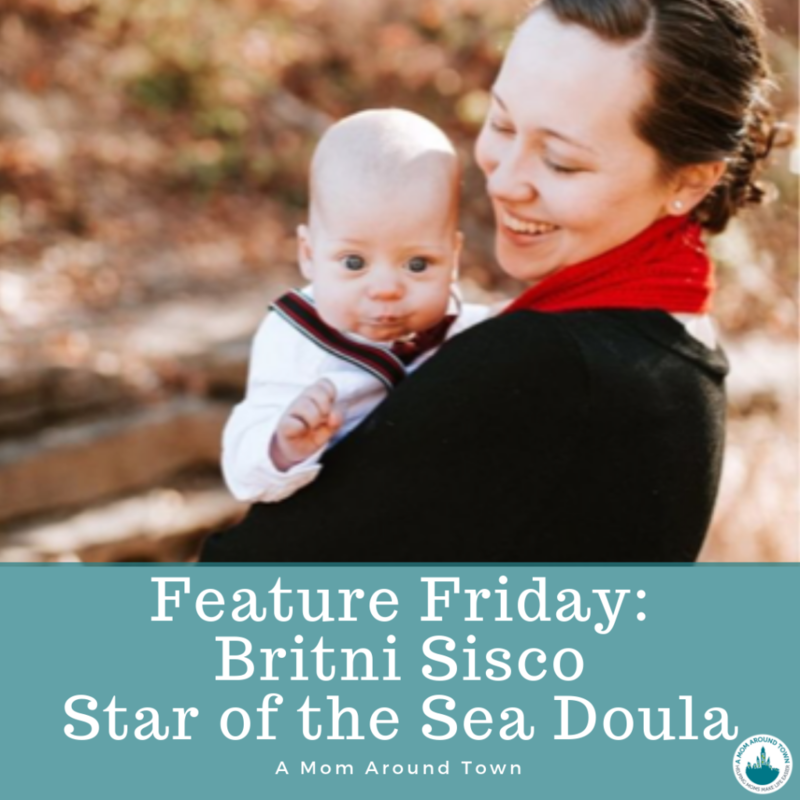 This led me to create A Mom Around Town, and has similarly led Britni to become a Childbirth International certified birth doula. Britni offers a variety of physical and emotional support options, you can find her on her A Mom Around Town Listing HERE! After the birth of my oldest, my husband and I realized how important it would have been to have the support of a doula. That started me down the path of learning everything I could about birth. I became (and still am) so passionate about pregnancy and birth, that I realized that I needed to channel my knowledge and passion into serving other mothers and families. So I started training to be a birth doula through Childbirth International. After the birth of our youngest child (a doula was definitely present for this birth) I was able to turn my passion into a business of serving mothers and their families during the beautiful transition and journey of pregnancy and birth. 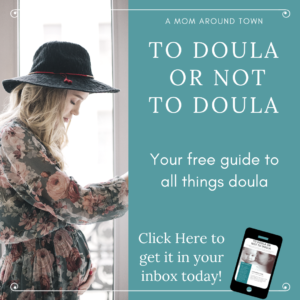 There are so many things that I love about being a doula! It is hard to pick just one, but it would have to be, helping mothers and their partners find their voices during the process of pregnancy and birth. I encourage my clients to ask questions about the care that is being offered to them, so that they know the benefits and risks. Watching them make informed decisions and feeling empowered though their journey, even if things do not go as they had planned, is just awesome. The biggest challenge is almost always childcare. It kind of comes with the job though, babies come when they want to and as a birth doula you very often have to drop everything to be there for your client. So even though you have childcare that you trust, there is always a chance that they may not be available when you need them. I am blessed with a wonderfully supportive husband who is there for me when I need him. I know that there is no way I could do this without his support! My husband and I have two wonderful, beautiful, wild children. We also have a little one who was born to heaven. We love to be outdoors, playing board games, or hanging out at one of the many great places St. Louis has to offer. Probably the power of bilocating! Very often in the birth room, and at home, I have to be in two places at once. I think being able to be in multiple places at once would make things easier for everyone! What one piece of advice do you have either for a mom that needs your service or someone that wants to become a doula? For the mom interested in my services, I would say take some time to figure out what you want in a doula. When you interview doulas find someone that you click with and trust your instincts! Birth is such a beautifully intimate process, it is important that you are fully comfortable with who ever you ask to be at your birth. Find someone who bring your peace. For the person who is interested in being a doula, I encourage you ponder what is driving your desire to be a doula. Why you want to serve mothers and their families and how you think you can best serve them. You can not be everyone’s doula even though it would be awesome if you could be. So I think it is best to figure out who you could serve best and what you can do to best serve them on their journey.